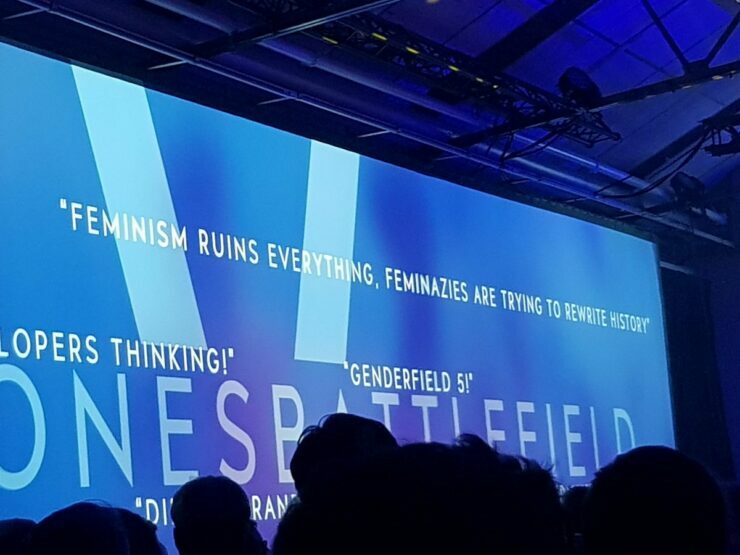 It appears that publisher EA is mocking the complaints from the community about the historical accuracy of the recently released Battlefield V.
Söderland later implied that those complaining about females in Battlefield 5 are “uneducated,” and that “they don’t understand” a plausible scenario. 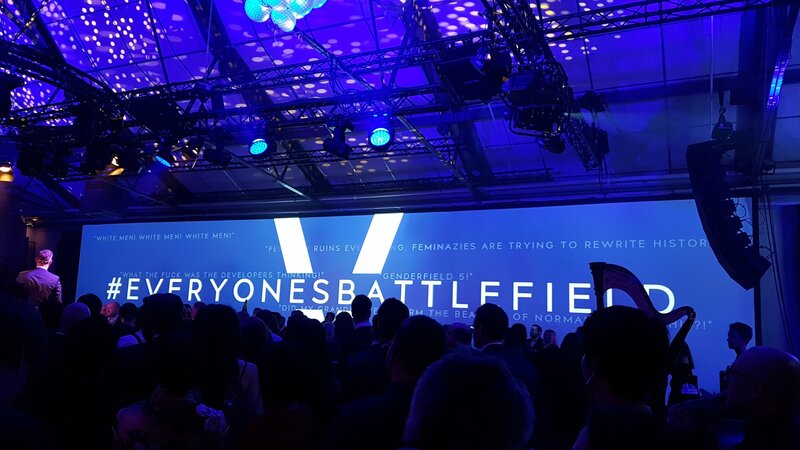 Now an image from the game’s launch event in Sweden has surfaced on Reddit which shows various negative quotes from the community about the inclusion of female characters in the game, and it appears that EA is trying to use the negativity around Battlefield V as a marketing tool. 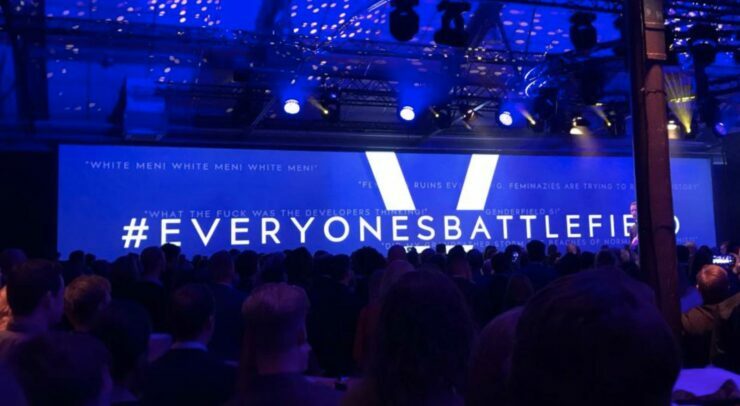 What are your thoughts about this banner from Battlefield 5’s launch event? Hit the comments below. Battlefield V is available globally now for PC, PlayStation 4 and Xbox One.